Eastern High School, in Voorhees, New Jersey, USA, is a regional district school with 2100 students. Eastern has a competition-sized gymnasium used for multiple indoor sports and other events. 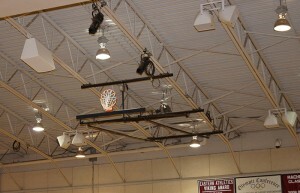 Last year, Eastern decided to replace the sound system in their gymnasium. The existing system was unreliable and lacked the versatility needed for a modern, multi-purpose facility. Eastern contacted JD Sound and Video who designed a new sound system using Community R-Series model R.5 loudspeakers, in a semi-distributed layout, supplemented with Community iBOX model i215LVS subwoofers. Because the school was unfamiliar with this style of system, JD Sound and Video arranged an on-site demonstration. The school was pleased with the demo which covered the gymnasium well and provided great musical sound quality and excellent voice intelligibility. 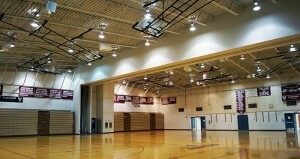 In addition, the semi-distributed design allowed the school to sub-divide the gym and host two events simultaneously. The system is powered by Crown amplifiers and uses a Rane mixer and DSP system and Shure wireless microphones. JD Sound and Video provided a simple user interface that allows the system to be easily sub-divided and controlled from several locations. 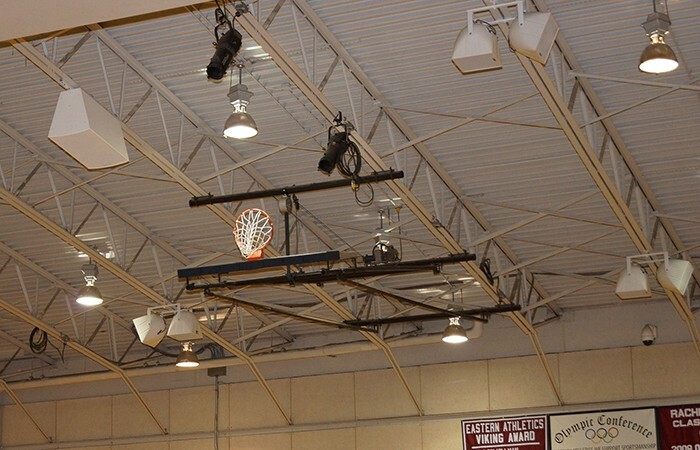 Joe DiSabatino of JD Sound and Video says, "The school is very happy with the system and we were able to complete it in time for their high school graduation ceremonies."